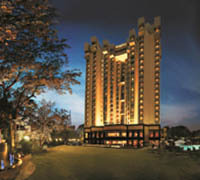 The luxurious Taj Palace, New Delhi, is spread out over six acres of lush gardens in the heart of India's capital city. It is an oasis of calm while still being right in the middle of the city's action. Not surprisingly, then that our 403 rooms and suites have played gracious host to princes, heads of state, corporate czars and high-powered conferences and the grandest of weddings for close to four decades. The hotel is a legendary food and wine connoisseur's heaven. It is home to several multi-award-winning fine-dining restaurants specializing in Vietnamese, Continental-European and Indian cuisines. Alongside, we have a tea and coffee lounge serving the world's finest brews; a multi-cuisine coffee shop. Nestled in the heart of New Delhi's Connaught Place, Shangri-La's - Eros Hotel, New Delhi, is one of the city's finest and most eminent five-star hotels. Enjoy the hotel's sprawling lawns and timeless architecture, which was inspired by the work of Edward Lutyen, and take a step into paradise! Our welcoming and humble service associates reflect Shangri-La's renowned hospitality from the moment you enter the hotel. The hotel prides itself on showcasing a diverse range of food and beverage offerings in a luxurious atmosphere adjoining the lush green gardens. The 39th Shang Palace in the world offers Sichuan and Cantonese dishes, along with the mystical cuisine of Yunnan. 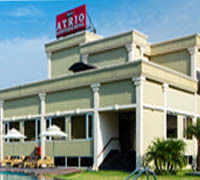 Atrio is their dream to offer a plush hotel that offers the best in food, stay and service standards and the Team at Atrio Hotels hand-picked to live up to the client expectation. A place where all the guests arrive and go back completely de-stressed. 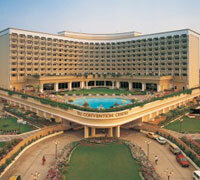 The Team at Atrio Hotels is brought together with care and a lot of thought. To offer the best to the visitors. Sumptuous, delectable hand-picked dishes, a good blend of Indian, Chinese, and Continental awaits you at our Restaurant in Delhi. Our Chef and the Restaurant team are well-trained and equipped to handle large corporate groups and to cater to Wedding Parties. A great favorite with business travelers and overseas tourists alike, offering a truly comfortable, elegant place to stay. Colonel's Retreat has been lovingly created by people who are frequent global travelers themselves and who take pride in maintaining the highest world-class standards of hospitality. 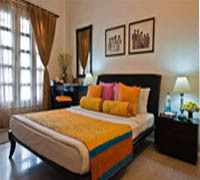 All rooms are air-conditioned rooms with cable TV, refrigerator, free Wi-Fi, electronic safe.